Just a quick, one hour train ride from Paris lays the charming village of Chartres. A historical treasure, and an original UNESCO World Heritage site in 1979, your Chartres tour will explore France's oldest cathedral and its historic old town. Your tour of Chartres is an exploration of it storied Celtic and Roman history, beginning with the granite stonewalls that surround the city through to France’s largest cathedral that was built during the 12th century. 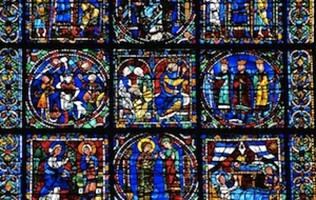 Our guided tour of Chartres uncovers what makes the legendary cathedral rare and introduces our guests to the sacred religious stories that are depicted throughout the cathedral in the stained glass and stone. Of course, your tour of Chartres will do much more than simply show you the cathedral. Your guide will also take you through the ancient old town, built into the hill leading to the Eure River and showcase the historical past of the town, when it was a village of mills. It is at one of the mills, which charmingly overlooks the old town, where you will have the wonderful opportunity to have a local lunch and refreshments before you return to Paris. Tour pricing is for up to 8 people! Entry fees are not included with our Chartres Tour. Entry fees to the main Chartres cathedral are free, but if youâ€™d like to visit the treasury and climb the towers, it will be â‚¬7 adults; free for children aged 17 and under. There is no need to do so. You will purchase your ticket(s) with your guide on the day of your tour. What will I see on my Chartres Tour? 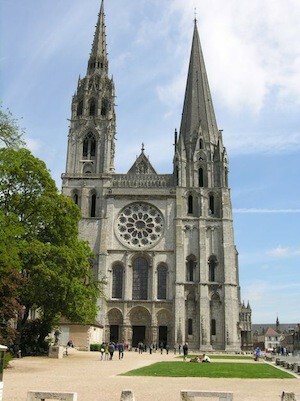 You will visit the famous Cathedral at Chartres and explore the charming village that surrounds it. How will we get to Chartres? 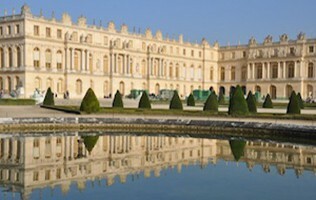 Usually you and your guide will travel to Chartres via the efficient Paris train. The ride takes about an hour. How much are the train tickets to Chartres? A round trip ticket on the train to Chartres costs â‚¬28. Your guide for your Private Chartres Tour will meet you at your predetermined spot â€“ usually right in your hotel lobby or outside your apartment. But of course, your meeting point is up to you! The tour was very well organized, the cathedral was beautiful and the walk around town was perfect as it was tailored for our pace and interests.